Just like there are all types of species of plants and creatures in the outdoors, there are all types of outdoor adventurers. Some of us like to plan - collecting maps, nailing down itineraries, dehydrating food and calculating how much water you'll need each day. 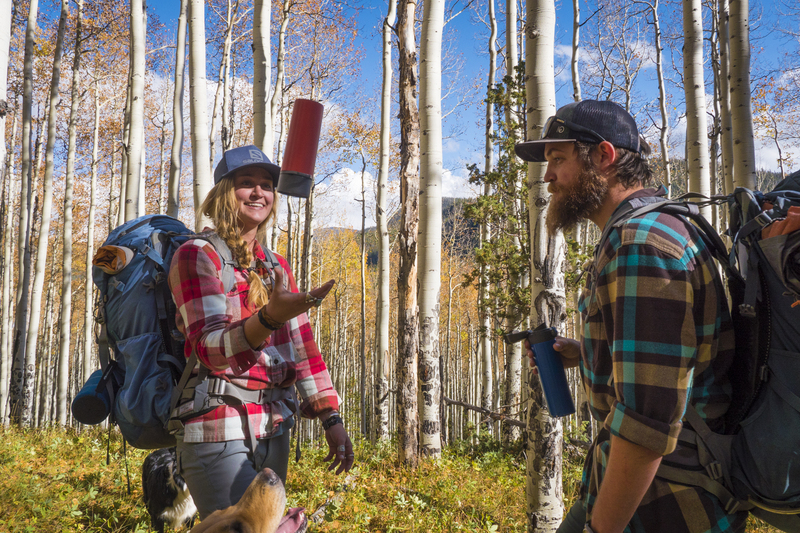 Some of us like to "wing it" - choosing a trail by whatever we're feeling that day, packing the clothing that's on top of the clean laundry stack, and preferring to sleep in a little longer rather than wake up and check three weather websites. However, both types have their downfalls: the organizer can plan so much they forget to enjoy the adventure itself or one change of plans derails the entire day. The spontaneous explorer can get into trouble when they're not prepared - or bite off more than they can chew in an unforgiving environment. It turns out there's a lot they can learn from each other. Here are our best strategies to finding the best of both worlds: planning enough before you embark so you can be spontaneous out in the field. Start by making sure you won't get lost. Print maps, download offline directions, and check trail sites for the beta of where you're going. Consult local guidebooks if you can - there are many area secrets and knowledge that never graces the internet. Scour the location tags on social media for where you're going for up-to-date conditions - often the next best thing to a webcam! Service your vehicle and remind yourself where the jack is - don't let car trouble steer your adventure into the ditch. Consult apps like Mountain Project or Trailforks for nearby route options and information - then toss a coin and go! Switch it up - if you're always the planner of your friend group, let someone else figure out the details for a change. Go with the flow and try someone else's style of adventure - and remember to relax! Packing cubes are your best friend: keeping clothes, food, underwear, dirty laundry, etc separated prevents the need to turn your backpack inside out to find your lighter. First aid kits are a must, no matter how simple the excursion. Sometimes epic injuries happen in the most mundane places. Estimate how many meals you'll need and what ingredients you'll need to make them. Use a checklist every time you go out: add commonly forgotten items (stove fuel, gloves, headlamp) to save yourself the worry next time. Extra snacks, socks, and first aid goodies are always worth the weight. Pack multi-sport gear on trips where you don't have to pack light - you never know when you'll come across the perfect crag or amazing hammock spot. Always have a weather back up plan - the mountains are unforgiving. Use your layers, find shelter if needed, and cover your pack to keep your things dry. Hike with buddies, agree on a route and turnaround time before leaving. Communicate any safety concerns or worries with your group and leave your trip plan with someone back home with as many details as you can. Try side trails and viewpoints that veer off your main road or trail - you've prepared enough to get yourself back to the trail and you never know what you might find! Don't panic if unexpected circumstances block your original plan - you can still have fun doing your second choice adventure. You can always try a new trail, do an out-and-back instead of a loop, or sleep in the car instead of your rained out tent. Invest in a satellite phone to keep in touch if plans change or if anything unexpected comes up so you aren't stuck out of service with worried folks back home. We can all be a little more spontaneous or a little more organized in all aspects of our lives. With the right balance we can be safe, enjoy the outdoors, and have a lot of fun. Because that's what it's all about, right?